DiaEdu Management Consultants is the only official housing agency for PAIRS for accommodation at the venue, Grand Hyatt, Dubai and at the Rove Healthcare City Hotel. Rooms are available from February 26 to March 2, 2019. Telephone requests cannot be accepted. Rooms can only be confirmed upon receipt of a deposit payment. Purchase of accommodation is done upon registration to the congress only. Confirmation vouchers are sent by email together with the registration voucher of the congress. Situated near bustling Sheikh Zayed Road, Grand Hyatt Dubai is set on landscaped gardens with outdoor and indoor pools and boasts 13 dining venues. 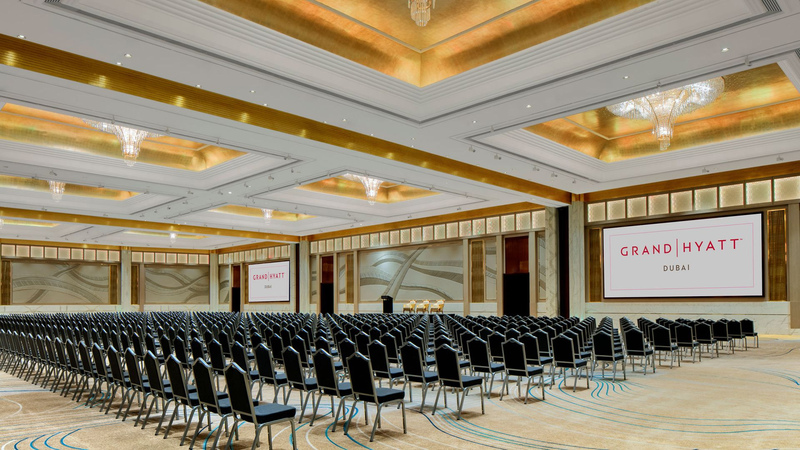 The hotel attracts several world level conferences and hosts many annual medical meetings. *subject to availability. Prices are inclusive of breakfast, AED 20 tourism fees, 20% service and tourism charges. **We accept payments online using Visa and MasterCard credit/debit card in AED, subject to 3.4% online transaction fees. 5% VAT applicable to group bookings. Whether you’re visiting the city for business or leisure, Rove Healthcare City is the ideal hub for roving around Dubai. Dubai’s Healthcare City is on your doorstep, along with other business hubs a mere 10 minutes drive, while entertainment is minutes away at Downtown Dubai. Offering easy access to the metro and main motorway, and a short drive from Dubai International Airport, this well-connected hotel in Bur Dubai is perfect for you. *Prices are inclusive of breakfast, AED 10 tourism fees, 10% service and tourism charges. *bus schedule subject to change based on program, in case of changes, guests will be informed in advanced.